This finely sculpted and hand enameled golf belt buckle contains exceptional 3D detailing. Siskiyou's unique buckle designs often become collector's items and are unequaled with the best craftsmanship. 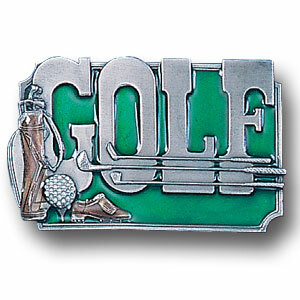 This golf belt buckle is a great product for that golf expert or golf fan ! Check out all our other great NFL, NCAA, MLB, NHL product line up. Thank you for shopping Crazed Out Sports!! Scultped and hand enameled key ring featuring a Golf emblem.This golf key chain is a great product for that golf expert or golf fan ! Check out all our other great NFL, NCAA, MLB , NHL product line up. Thank you for shopping Crazed Out Sports!! Our golf stainless steel money clips feature a 3D carved finely detailed square. 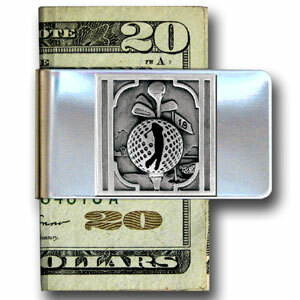 This Golf theme large money clip is a great product for that golf expert or golf fan ! Check out all our other great NFL, NCAA, MLB ,NHL product line up. Thank you for shopping Crazed Out Sports!! Our Golf bi-fold wallet is made of high quality fine grain leather with a Golfer emblem sculpted with fine detail on the front panel. Includes slots for credit and business cards and clear plastic photo sleeves.This Golf bi-fold wallet is a great product for that golf expert or golf fan ! Check out all our other great NFL, NCAA, MLB ,NHL product line up. Thank you for shopping Crazed Out Sports!! 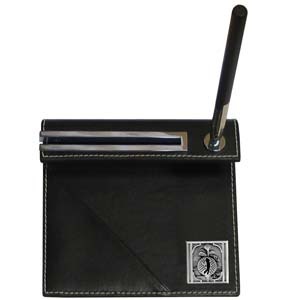 Our Golf Executive Money Clip/Card Holder is made of high quality fine grain leather with a sculpted Golfer emblem on the front panel. Features four pockets and a money clip on back.This money clip cardholder is a great product for that golf expert or golf fan ! Check out all our other great NFL, NCAA, MLB ,NHL product line up. Thank you for shopping Crazed Out Sports!! 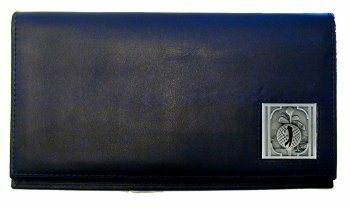 Our Golf Deluxe Checkbook Cover is made of high quality leather and includes a card holder, clear ID window, and inside zipper pocket for added storage. 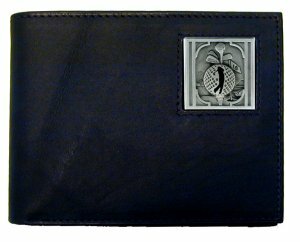 Golfer emblem is sculpted and enameled with fine detail.This Golf deluxe leather checkbook is a great product for that golf expert or golf fan ! Check out all our other great NFL, NCAA, MLB ,NHL product line up. Thank you for shopping Crazed Out Sports!! This classy leather case fits the popular iPads and features a metal Golf emblem.This Golf leather ipad case is a great product for that golf expert or golf fan ! Check out all our other great NFL, NCAA, MLB ,NHL product line up. Thank you for shopping Crazed Out Sports!! 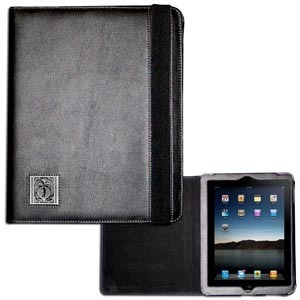 This classy leather case fits the popular iPad 2 and features a metal Golf emblem.This Golf leather ipad 2 case is a great product for that golf expert or golf fan ! Check out all our other great NFL, NCAA, MLB ,NHL product line up. Thank you for shopping Crazed Out Sports!! This innovative jacob's ladder wallet design traps cash with just a simple flip of the wallet! There are also outer pockets to store your ID and credit cards. 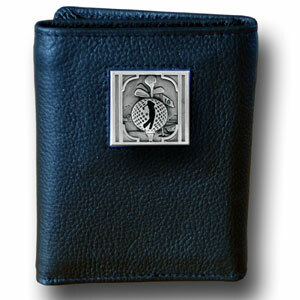 The wallet is made of fine quality leather with an enameled golf emblem. 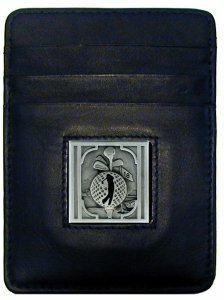 This Golf Jacob's Ladder Wallet is a great product for that golf expert or golf fan ! Check out all our other great NFL, NCAA, MLB ,NHL product line up. Thank you for shopping Crazed Out Sports!! Our classic desk set features a slot for a note pad, a slot for your business cards and comes with a stylish pen. The set comes with a metal Golf emblem. This Golf desk set is a great product for that golf expert or golf fan ! Check out all our other great NFL, NCAA, MLB ,NHL product line up. Thank you for shopping Crazed Out Sports!! Our Golf Executive Checkbook Covers are made of fine grain high quality leather with a sculpted Golfer emblem featured on the front panel. 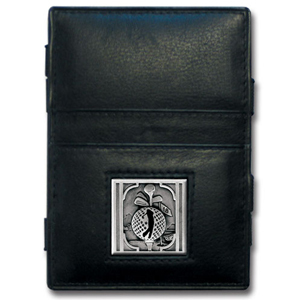 This Golf Executive Leather Checkbook Cover is a great product for that golf expert or golf fan ! Check out all our other great NFL, NCAA, MLB ,NHL product line up. Thank you for shopping Crazed Out Sports!! 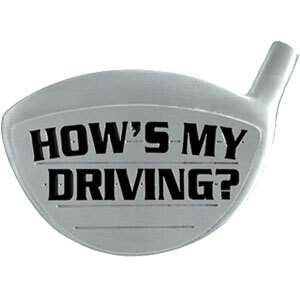 Our Golf durable hitch covers are a great way to off your individual style. The hitch fits a 2" hitch receiver. 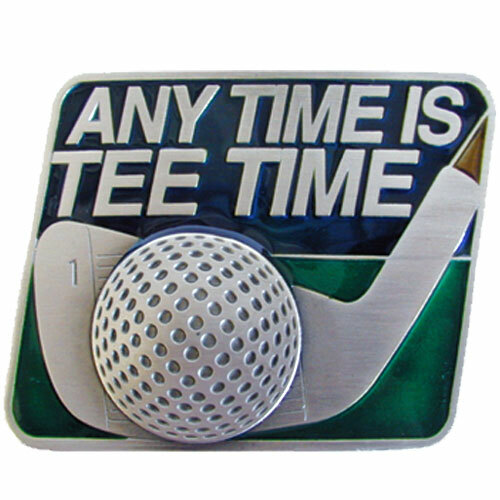 This Golf Hitch Cover is a great product for that golf expert or golf fan ! Check out all our other great NFL, NCAA, MLB ,NHL product line up. Thank you for shopping Crazed Out Sports!! Our tri-fold wallet is made of high quality fine grain leather with a Golfer emblem sculpted in in fine detail on the front panel. Includes slots for credit and business cards and clear plastic photo sleeves. 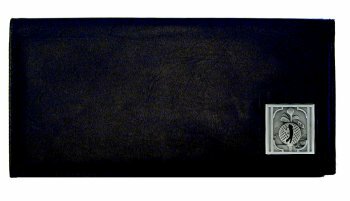 This Golf tri-fold leather wallet is a great product for that golf expert or golf fan ! Check out all our other great NFL, NCAA, MLB ,NHL product line up. Thank you for shopping Crazed Out Sports!! 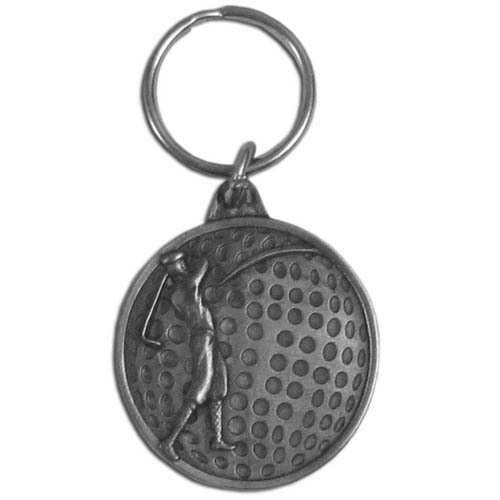 A fully cast metal Golf key chain with exceptional 3D detail. 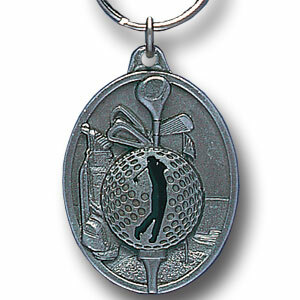 This Golf key chain is a great product for that golf expert or golf fan ! Check out all our other great NFL, NCAA, MLB ,NHL product line up. Thank you for shopping Crazed Out Sports!! "Are you a golfer? This buckle is for you! ""Golf"" is written in bold across the front with 3 golf clubs on the top. To the side and bottom are a golf bag filled with clubs, a golf ball on a tee and golf shoes. Show your love for the sport with this exquistely carved buckle made of fully cast metal with a standard bale that fits up to 2"" belts." "Our Golf Hitch Cover is a durable and attractive way to show off your school spirit. The hitch fits a 2"" hitch receiver." Dress yourself for the club house. Tee off and show off your favorite sport at the same time. You will love the game of golf with your golf collectibles and memorabilia. Check out our golf desk set, golf wallet, golf IPad case Or your favorite NFL, NCAA, Key chain, Money clip, Sunglasses, even some Game day cups all here at Crazed Out Sports!